For centuries, sailors used this low-tech tool to navigate the world’s oceans. “Can you see anything?” Henry Carter was asked in 1923 as he peered into King Tutankhamun’s tomb. “Yes,” he replied, “wonderful things.” This column explores other wonderful things—intriguing artifacts or technologies that give insight into coastal cultures. On a 16th-century vessel in the middle of the ocean, survival depended on captain and crew knowing their ship inside out, from the nuances of the rigging to how the boat behaved in adverse weather. One thing they didn’t always know was the ship’s exact location. Without landmarks, sailors navigated using a practice called dead reckoning. To do this, the sailors continually measured two vital parameters—speed and direction. Direction was determined with a compass. For speed, the sailors commonly used the “chip log” method: they threw a line with a wooden float affixed to its end off the ship’s stern. The line was knotted at regular intervals, and sailors timed how many knots came off the spool in a given amount of time (hence the origin of the term knots). Then, starting from their last-known location, the navigator used the speed and direction measurements to plot their current position in the ocean. This required a lot of data, and since most sailors were illiterate, they needed some method other than writing to record their measurements for the navigator. The solution for centuries was the traverse board. The rounded top of the board bore a painted 32-point compass pattern. Each point featured a line of eight holes radiating from the center of a circle. The lower, square portion of the board had horizontal lines of holes under columns that represented the speed of the ship in knots. During each standard four-hour watch, the crew measured the ship’s speed and direction eight times, every half hour, and recorded them using pegs: direction under the appropriate compass point on the rounded top; speed along the bottom. After each watch, the navigator collected the data, logged it, plotted it on a chart, cleared the board, and then began the process again. The boards were widely used throughout Europe and Scandinavia from the late 15th century until the mid-19th century. But they were only as good as the direction or speed measurements, which could be inaccurate since they didn’t account for factors such as the variability of ocean currents. Still, long before electronic charts and GPS, the traverse board and other simple tools were enough to guide intrepid explorers such as Christopher Columbus and Ferdinand Magellan across uncharted oceans. Susan Down is a journalist based in British Columbia whose work has appeared in the Toronto Star, the National Post, and numerous metro dailies and magazines across Canada. She has a special interest in all things maritime and wrote a popular marine column for Victoria’s Times Colonist. Down has also worked for two maritime museums. 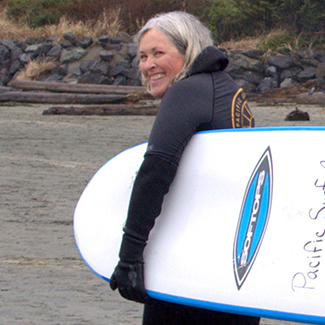 Cite this Article: Susan Down “Traversing the Seas,” Hakai Magazine, Aug 26, 2015, accessed April 23rd, 2019, https://www.hakaimagazine.com/article-short/traversing-seas/. People from the Marshall Islands created beautiful, unconventional charts to navigate across the sea. Talented navigator, diligent observer, and bad-boy buccaneer, William Dampier may be the most accomplished travel writer and naturalist you’ve never heard of.